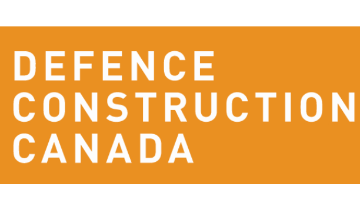 Defence Construction Canada (DCC) provides timely, effective and efficient project delivery and full lifecycle support for infrastructure and environmental assets required for the defence of Canada. In particular, DCC provides procurement, construction, maintenance, environmental, project and program management, facilities management and professional services to support its Client-Partners—the Department of National Defence and the Canadian Armed Forces. The organization is founded on the values of dedication, collaboration, competence and fairness. DCC takes a collaborative approach to successful partnering, with a focus on innovation and integrity. DCC has implemented an e-procurement solution, and works closely with industry and the Client-Partners to develop and deliver new and innovative construction delivery methods, such as public-private partnerships, integrated project delivery and modified design-build. DCC fosters fair, open and transparent procurement and, in the spring of 2018, won the U.S. National Procurement Institute’s Achievement of Excellence in Procurement Award for the fifth straight year. The British Columbia Construction Association recognized DCC as one of seven Best of Public Procurement owners in 2017 for fairness, openness and dedication to transparency in public procurement. DCC’s procurement team awards an average of 2,000 contracts per year, with a total value of approximately $900 million. As a Technical Specialist, Procurement at the National Capital Regional Office, you will be part of DCC’s award-winning team, providing excellence in procurement. The site awards an average of $370 million contracts per year. As a member of the Contract Services team, you will have the authority and be empowered to bring forward new and innovative ideas, while working independently on procurements valued at over $60 million per year. You will participate in and promote procurement planning for complex, dynamic, high-risk and intellectually challenging multi-phased projects, liaising nationally with other DCC professionals across Canada. The Technical Specialist, Procurement, assists in developing and maintaining policies, processes and tools to support all procurement activities. The incumbent acts as a technical specialist for the Client-Partners and leads key initiatives for the service line. The incumbent also develops and leads DCC’s relationships with internal and external stakeholders, Client-Partners, industry and other government organizations, and exercises national influence in the area of procurement.